If you are looking for a property to rent with a garden to enjoy in the Spring/Summer and share a BBQ and a bottle of wine with your friends, please be aware that although this is a big positive, especially if you have children or pets, maintaining the space and keeping it neat and tidy is likely to be within the terms of your tenancy agreement. Many landlords withhold a tenant’s deposit due to tenants allowing the garden to get overgrown which is costly to remedy. It is therefore worth spending some time keeping it under throughout the year so as to avoid dilapidation costs when you move out. Whilst you are looking for a new home, bear this in mind. Think carefully about how much time you can devote to a garden and rent accordingly. If you have little time it would be worth trying to find a property with a paved/courtyard garden. This will still have space for a BBQ and pots which you can fill with colourful flowers, vegetables or herbs. If you buy your own pots you can take them with you to your next home and they are virtually maintenance free apart from watering regularly. A few fairy lights and some nice garden furniture and you will have a pretty outside space without all the worry. 1. 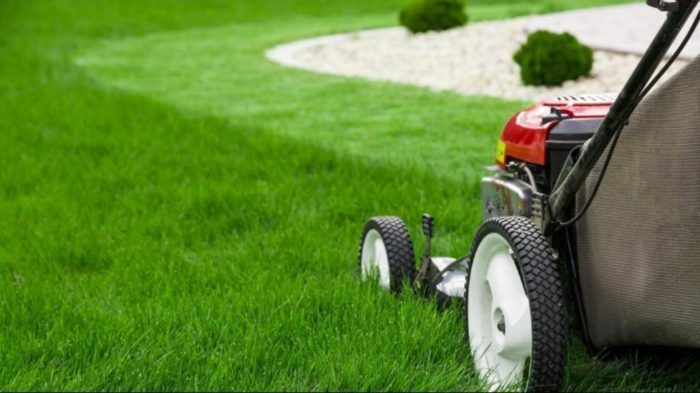 In late spring/summer, mow the lawn at least once a fortnight (preferably when the grass is dry) and dead head any flowers to keep them blooming. 2. Check hedges, large shrubs, trees and climbing plants and cut/prune them back as necessary to avoid them getting out of hand. 3. If you pull up a few weeds every time you are in the garden it will avoid them spreading too rapidly. If dandelions go to seed they multiply quickly and their roots run deep! Bindweed also needs removing regularly as it strangles other plants and spreads under the soil like spaghetti! Make sure you put any bindweed in the bin, not in a compost heap as even an inch long piece will sprout and grow into a large plant in weeks. You may have to provide your own lawnmower, space, trowel, secateurs etc, although it is worth checking with your landlord whether they have any they can leave at the property for you. 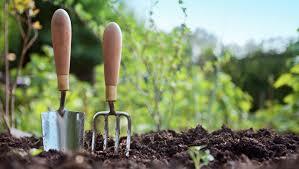 Please note, you will not be excused from maintaining the garden just because you do not have any tools. It’s amazing how much garden waste builds up from something as simple as weeding, trimming a hedge or cutting the grass. 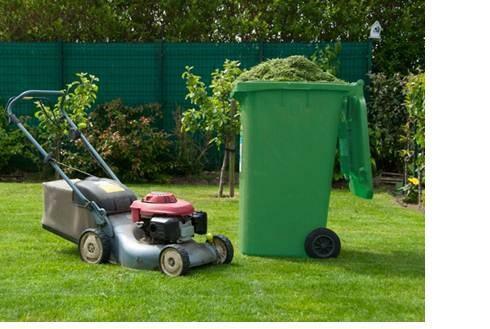 Many councils operate a garden waste service, where you can pay for a special wheelie bin. If there’s not one at the property already (again, ask your landlord if they’ll pay for this). Otherwise, you can buy big, purpose made garden waste bags and take everything to the tip. Whatever you decide to do when it comes to choosing a house with a garden, enjoy your outdoor space and make the most of it. Who knows, you may even find a hidden talent for gardening that you never knew you had!